Attended the press event for the launch of Google Earth 5.0 containing several new features including Google Ocean. It was an inspiring event – great to see technical innovation turn out such a usable and immersive product. 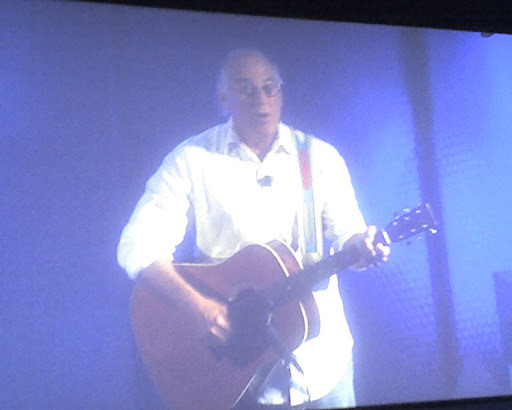 For me it was especially fun to see Jimmy Buffett talk about Google, debut his new YouTube channel and perform. MG over at VentureBeat has some nice coverage as well as capturing a photo of me talking with Buffett after the event. I’m a longtime Buffett fan so looking forward to more collaborations. Oh and what did YouTube do to support this great launch? We now support altitude in our geotags, which will help you tell us whether your video was shot at the top of a mountain or below the surface of an ocean. ← When is a start-up not a start-up? Made hilarious by the fact that he would be an obvious supporter as he has crashed he sea plane more than once.